Your body will put up with a lot, like you sitting behind a desk all day, but neglect it when it comes to mobility, and that it won’t tolerate. Restricted joints and tight muscle tissue can shave kilos off of your lifts, and even stop you hitting positions altogether. We’re all getting pretty good at paying attention to our hips and backs, but it’s the ankles (and calves) and feet where a lot of problems start. The body doesn’t work in isolation, it works as a system. It’s a chain reaction, and for every tight ankle, there’s a shin at a the wrong angle, a hip out of alignment, a torso too far forward and missed lift. Healthy ankles and feet are also key to avoiding injury on gymnastics and speed movements, such as double-unders, box jumps and so on. If you want to improve your strength and mobility, start with your ankles. How does the ankle work? For the sake of ease, and so that you can actually use this article to improve your mobility, we’re going to stick with the absolute basics. The ankle works according to the sagittal plane, which runs from the front of the body to the back. 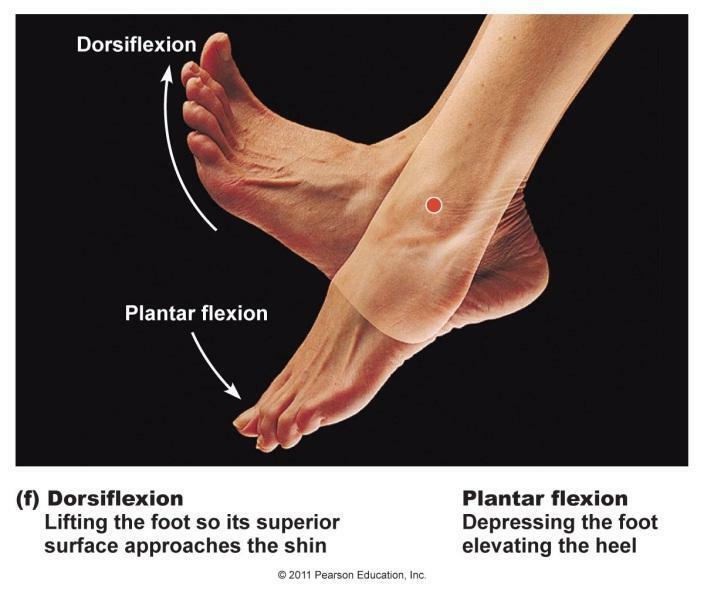 From its neutral resting point, the ankle goes through dorsiflexion (toes up) and plantar flexion (toes down). 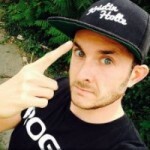 If you don’t get a chance to watch Starrett’s video - in which he talks about other things, too - here’s a little run-down of why free-moving dorsiflexion is key to better ankle mobility, and ultimately, better squats, snatches and what have you. Dorsiflexion is when the toes point up, or in the case of a squat, when the knee tracks forwards. Dorsiflexion allows for a better range of motion all the way up the chain, through the tibia (shin), knees, hips and eventually torso. When ankles and calves are tight, dorsiflexion is poor, and your shins can’t angle themselves well enough to allow you to stay upright. It’s one of the reasons why you might be squatting with your torso hunched over. There are a number of very simple ways to test your ankle mobility, or rather, “test, retest” your ankle mobility, as Starrett says. Testing your mobility, working on some stretches and retesting, is the best way of finding what’s working for you. In a push-up position, the hands should face forwards, with the elbows slightly rotated in to create torque. This allows you to fully utilise your triceps. If you’re lacking flexion in the wrist, often the hands turn out to compensate. The same happens in the ankles. If your feet are turning out in the bottom of the squat, that’s a good indicator that your ankles aren’t yet up to the job of supporting the most adequate position. The further away you can get your foot, and still touch your knee on the wall without lifting your heel, the better your dorsiflexion. Continuing on the theme of sharing Kelly Starrett videos - because why wouldn’t we? - there are tons of advanced ankle mobility drills you can go through, like the one in the video, to release the capsules that hold various parts of the ankle in place, and allow for more freedom of movement. As mentioned at the beginning, however, for ease of use, here are a few of the more common ways to mobilise your ankles and calves, that I have been taught by my own coaches, and various physio friends. A word on calves: If you do a lot of double-unders, running, box jumps etc., it’s likely that your calves are more than a little bit tight. You can mobilise your ankles all you want, but if your calves are tight, if all of that muscle and tissue running up the backside of your legs is tight, then your squat isn’t going to be optimum. Hold onto something if you need to, and as mentioned earlier, keep the feet pointed forwards, and push that knee out over little toe. “Camp out here” as Starrett says. The wall test from earlier. Find that knee-touch position and stay there. Move the ankle around and find areas where it’s tight. Great for the ankles, feet and calves. Wrap the band tightly around the ankle and calf, then find ways to move that lower leg around. Get into a squat, perform the wall test. Release the band and retest. Soft or hard balls, foam rollers, rumble rollers. Mash and grind the tissues of the ankle and calf against them. Sticky points are good, pain is bad. Also a good one for the feet. Using a softer ball, gently roll the soles of your feet over and around on the ball. It makes a huge difference if you spend the whole time in shoes. The best way to properly warm up and take care of your muscles before and after any workout, is with appropriate stretching and mobility. But in cold weather, or when your muscles just aren’t cooperating as they should, creams and lotions can help. There are two main types of sports creams and lotions: cold and heat. They simulate the effects of stretching and warming up, and say, an ice bath. They’re effective, and while they’re not a replacement for real mobility work, as a quick, temporary fix, creams and lotions can be great. Cold creams are best post-workout, and can help muscles to relax. Great for when hopping into an ice bath isn’t an option. Day 2. Event 3 done. Cool down. @sarasigmunds. @crossfitgames. Heat creams act like an instant warm up. Best for localised muscle use, like on the calves. Be careful, though, you still need to stretch and warm up with movement. Most of us spend the day in shoes, right? At work, then at the gym, we never really give our feet a chance to exercise themselves properly, yet we rely on them to maintain a solid arch and to grip the floor in a squat. Backing up. When you squat with feet forwards (correctly), you maintain a solid arch in your foot, which allows you to grip the ground, and keep your knees and hips in good alignment. Turning your feet out is when that arch collapses. Strong feet are literally the foundation of safe and efficient movement. Without them, everything else has to compromise. For movements such as double-unders and box jumps, those strong feet are going to help to ensure stability and the ability to absorb multiple impacts. In this case, a softer ball can be better, as it allows some give, and let’s you grip and create torque. Place the ball under your sole, and roll it around, pressing in and releasing. Suffering from cramping of the feet whilst wearing Olympic lifting shoes is a surprisingly common sensation amongst athletes. # If you suffer from this or know someone who does try sitting in the kneeling position for 30-60 Seconds and then use a lacrosse ball on the sole of the foot and work in to areas that are feeling tight before putting your lifters on. Walk forwards and back on the outside edges of your feet. Then on tiptoes, and on your heels. Already mentioned, but a great mobilisation bit for the feet. Wrap them, move them, do some squats. Release and retest. Your feet, ankles and calves are important players in getting into positions on lifts, safely and effectively. It’s also essential that you look after them to avoid injury during speed and gymnastics movements. Using these tips and videos, find a daily routine that works for you, that doesn’t cause pain, and use it to slowly work your way back into better positions. What do you think? Do you have any other experience? Let us know your oppinion and comments. You can read other articles in our blog.